Selecting the right agent for your property and your area is a vital aspect of the selling process. At AMC Hunter Inc. we deal with hundreds of estate agents in and around KwaZulu-Natal. Give us a call and we will assist you in the selection of the estate agent best suited to serve your needs. As part of the service we offer our clients, we will gladly review any mandates you may have been asked to sign, to ensure that you are adequately protected and that a proper marketing plan is in place. This service is free of charge should we be nominated as your conveyancers on the sale of your property. Click here to read more on mandates and download sample mandates. Carefully scrutinise any offer to purchase before you commit yourself. As part of our on-going service, we will peruse any offer to purchase you receive to ensure that you are adequately protected. We will make changes to the agreement that are necessary to protect you, but also to avoid any delays with the registration of property transfer. This is at no charge to you, as the purchaser is liable to pay our fees upon transfer of your property. As experienced property lawyers, we are happy to assist and advise clients who either buy or sell property privately. We assist with the negotiations, and advise on property finance/bonds, and the best way to structure your property transaction. Click the button below to download a sample Sale Agreement. Contact Karien Hunter on karien@amchunter.co.za for assistance with private property sales. As a firm specialising in property law, we are experienced in checking any offer to purchase that you receive from an estate agent, and will advise on the legalities of the sale agreement. Contact Karien Hunter on karien@amchunter.co.za for assistance with sale agreements received from an estate agent. Establish a relationship with a reputable estate agency or agent in the area. Most agencies have a large selection of properties on their books. AMC Hunter Inc. can direct you to the top-performing agents within your area. We will also advise you on the best way to structure your purchase, and bond finance. AMC Hunter Inc. deals with all the major banks, so we know and understand their lending criteria. We can also put you in touch with reputable bond originators, who will be able to give you a good idea of the bond you will qualify for, before you submit an offer to purchase. 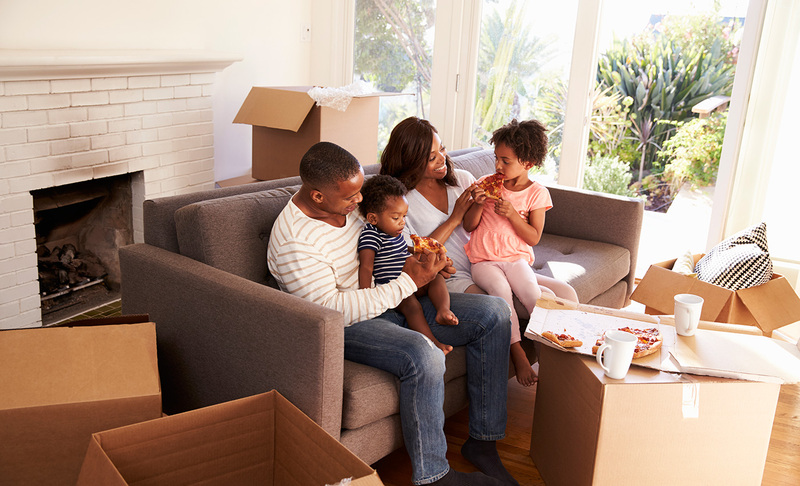 For a rough estimate of what you can afford, use our bond repayments calculator. 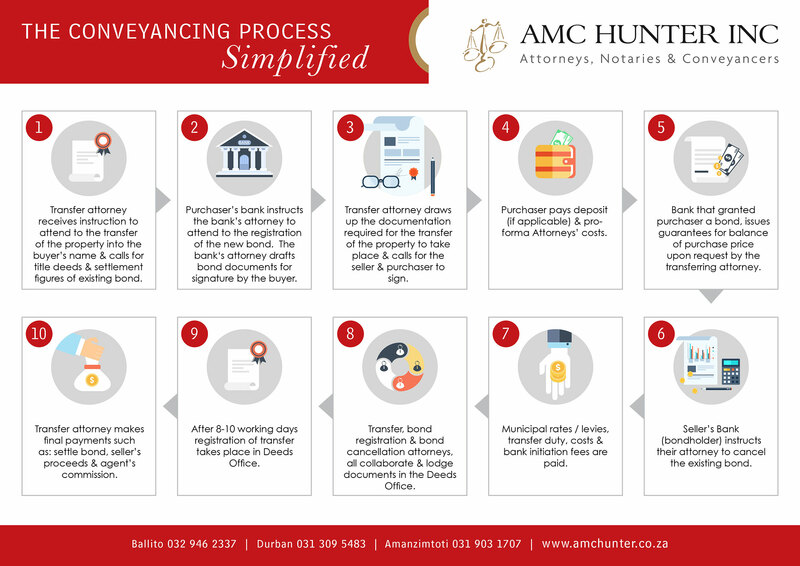 The conveyancing process consists of the registration of transfer of the property sold, to the buyer, the cancellation of the existing bond, and the registration of a new bond (where the purchase price is secured by means of a bond).